In an industry that is constantly evolving, it is critical to stay on top of the most up-to-date marketing research and practices. However, with over 347 new blog posts created each minute, it’s hard to sift through every article to find out which posts are based on facts, and which are based on fiction. That’s why we decided to uncover 8 email marketing myths circulating around the web and prove why they’re totally unfounded. Have you been too afraid to use the word “Free” in your subject line? Do you stress over the length of your emails? Don’t let marketing myths keep you up at night. Banish the boogeyman and regain your sanity by reading our latest blog. Myth # 1: Morning is the best time to send email. Many people are sending their campaigns in the morning under the assumption that the early bird gets the worm. However, MailChimp uncovered some amazing data when they analyzed more than a billion emails regarding send time for marketing mail. The chart below indicates that recipients are more likely to open their email after 12pm. This is a screen capture from MailChimp when they tested the optimal time to send an email. The chart also reveals that the hours between 2-5pm are the most active hours of email opens by time of day. However, the best time to send an email does not remain static. There are many contradictory findings about when is best to send. For example, Experian researchers found that sending emails from midnight to 4:00AM has the highest response rates in all areas, but MailerMailer found the best email open rate to be 10am. The reason these stats continue to change is because every audience in every industry is different. That is why we first focused on industry standards for when we should send, THEN experimented with send times for our particular audience. 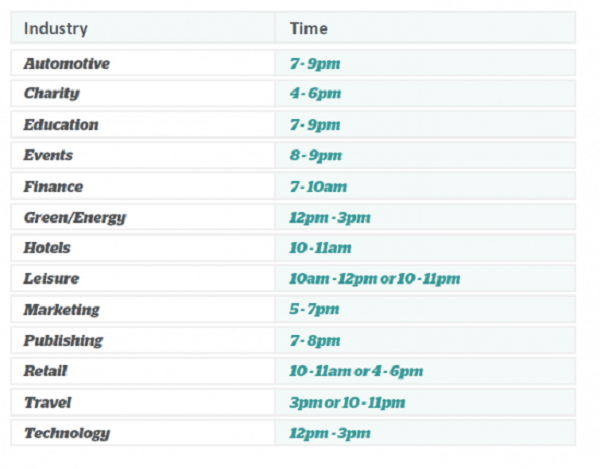 Pure360 put together a killer chart breaking down the best time to send by industry. Check it out! This is a screen capture from Pure360 when they tested the best time to send an email. Click here to download Pure360’s entire guide on The Open Rate Landscape. As you can see, a send time early in the morning does not show up very often on this chart. For effective email, we recommend you steer clear of the morning sends (unless you are in the finance industry). Now that you have a jumping off point for when to send to your industry, get to A/B testing for your audience! It’s a common misconception that if you send frequently to your list you’ll irritate them, or even worse… get marked as SPAM! Don’t believe everything you hear, people! Alchemy Worx released a study that analyzed their customer data over a 3 month period and they found some real marketing gems. 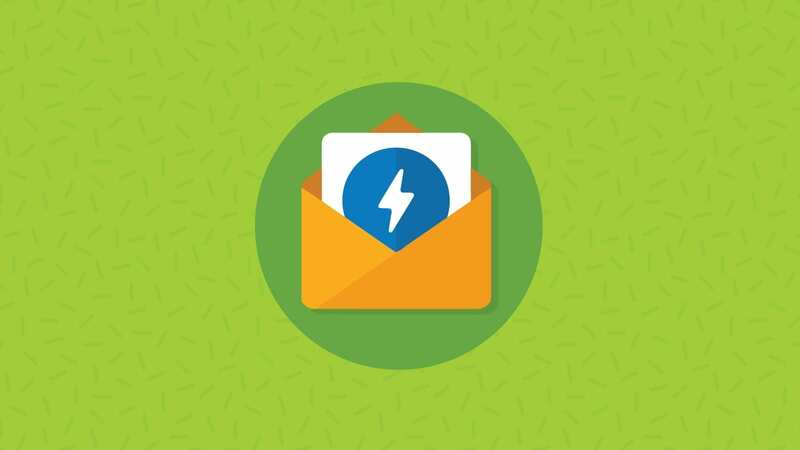 In their study, they found that if a brand increases their email sends from 1 email per month to 4, this change can more than double your open rate (from 10% to 24%). That increase in email sending frequency also results in an additional 11% of revenue for the brand on average. Increasing your sending frequency also has little effect on your unsubscribe rate. Hubspot conducted a study and found that if you’re emailing your list 4 or 5 times a month (which you should be), you might as well email them much more frequently because it will actually decrease your unsubscribes! Check out the graph below. And now to address the crippling fear of being marked as SPAM because you sent too many emails. Return Path set the record straight regarding this notion when they reported that less than 1 subscriber in every 2,000 will mark an email as SPAM. It is safe to say that with a 1:2,000 ratio, the odds are in your favor. It is important to note, a large number of ISPs like Gmail and Yahoo use the sender’s engagement metrics such as open and click-through rates to determine if an email should be automatically blocked or filtered as SPAM. From Alchemy Worx’s findings above, they saw sending more frequently could double your open rate. So, if you follow Alchemy’s advice and someone does mark you as SPAM (which happens to the best of us), a higher sending frequency that produces higher engagement metrics will protect you from your sender reputation being ruined by a single complaint. ISPs like Google will be able to see that you have accrued a good sender reputation from engagement metrics and are less susceptible to ending up on a blacklist. Win, win! From the information above, you can deduce that a higher sending frequency will not weaken the impact of your email efforts, instead, it will strengthen it through fewer unsubscribes, higher open rates and an increase in revenue. While there isn’t a perfect or magical number of emails you should send each week/month to your list, try to find the “Goldilocks zone”: the sending pattern that is just right for your list. Myth #3: Responsive design is not a necessity in email. If you aren’t taking advantage of responsive email design right now, you are flushing money down the drain. According to Adobe, 79% of smartphone owners use their smartphone for reading email, a higher percentage than those who used it for making calls (Adobe – “2013 Digital Publishing Report: Retail Apps & Buying Habits”). On top of that, Optyn reported that 75% of smartphone users delete emails they can’t read (e.g. 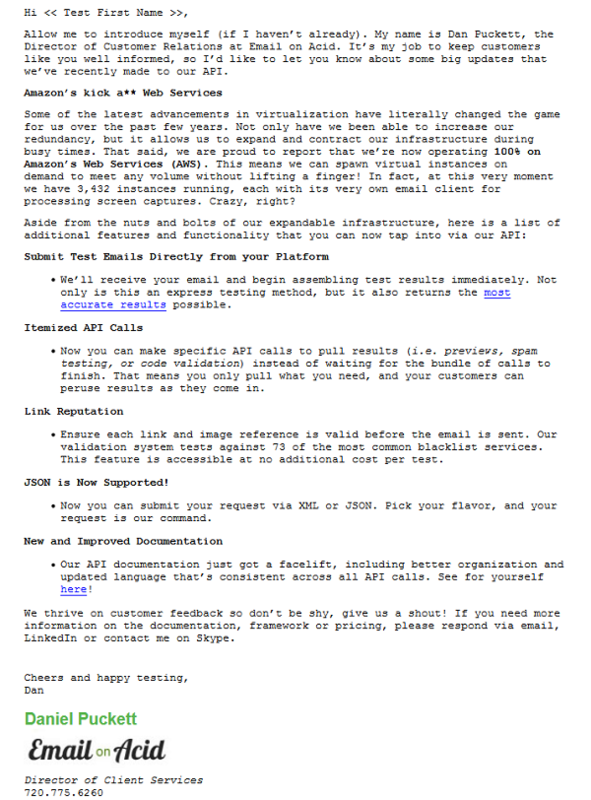 : non-responsive emails that look like crap on a mobile device). Still not convinced? How about a case study to sway you! Stream Companies, a fully integrated advertising agency, has been implementing Montgomeryville Nissan’s e-mail marketing since 2007. Utilizing our state-of-the-art analytics within their email marketing campaigns, Stream determined that 41% of Montgomeryville Nissan’s subscribers were opening the dealership’s sales and service email campaigns on mobile devices. Stream Companies leveraged Montgomeryville Nissan’s pre-existing templates and updated them with the proper code so they were all responsive. If you are curious to find out how to add responsive design to your pre-existing template, check out our 7-Step Responsive Design Tutorial. If you want to check out a couple more case studies on responsive design, check out our article on Is Responsive Design Really Effective? All the stats above speak to the fact that responsive design is no longer a luxury for email marketers, but instead, a necessity. Myth # 4: Spammy content sends your email straight to the junk folder. SPAM filters have become much more refined and complex when identifying which emails are from legitimate senders or not. Spam filters look at a long list of criteria to decide whether your email is junk, so your SPAMMY content (i.e. using the word “free”) is rarely the culprit when getting marked as SPAM. Alchemy Worx analyzed data from eData Source of more than 200 clients and 540 billion sent emails in an attempt see if keywords affected deliverability. They found that the words and phrases often thought to ensure an email will end up in the junk folder actually have little or no effect. This was also seen by MailChimp and Hubspot as well when they both found that using words like “free” in your subject line has no effect on your deliverability. It is also important to keep in mind that the list of what qualifies as “spammy” changes often, because the filters adapt based on what subscribers mark as spam in their inboxes. I must admit though, SPAM filters are still a very mystifying beast. Even if you follow all the rules you can end up getting flagged and find yourself scratching your head in disbelief. The time to find out about a SPAM problem is before your email send, not after. We can help! Diagnose and solve deliverability issues with our pre-deployment SPAM testing in 22 of the most popular SPAM filters. We will help you identify which filters are blocking your emails and provide as much detail as we can squeeze out of them to help you troubleshoot. 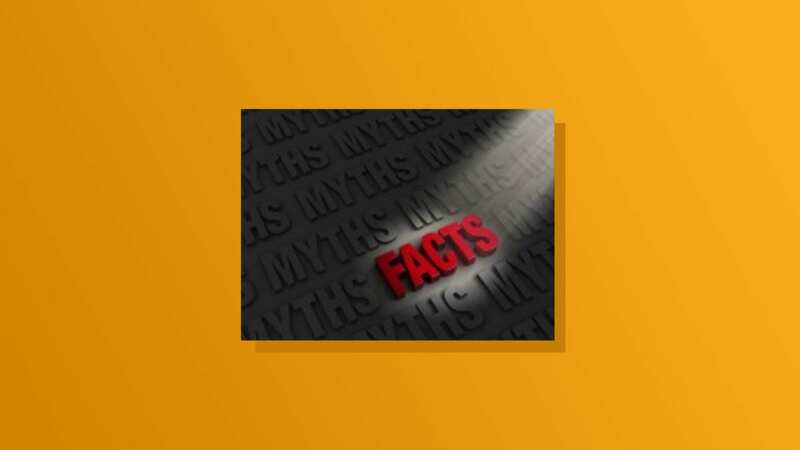 Myth #5: Plain text emails will not perform as well as heavily designed emails. While a sleek and well-designed template can be a great asset for your company, we have found some different results through our own testing. In our email engagement blog that we recently published we broke apart 8 campaigns we deployed, piece by piece, to uncover what really engages our subscribers. Out of the 8 campaigns we studied, only two of them were plain text emails, the rest were designed with custom templates. Lo and behold, the two emails that continued to outperform all the other campaigns were the plain text emails. 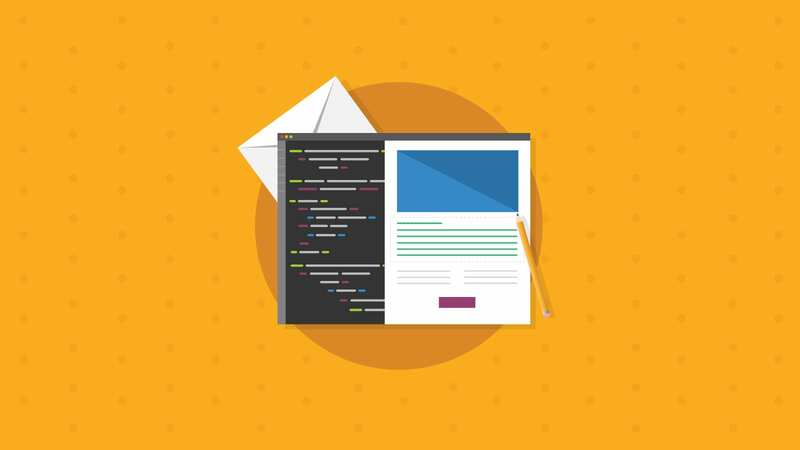 Plain text emails could have the upper hand because it is easier for the email to render and the recipient doesn’t feel like they are being marketed to. To check out all our findings in regards to email engagement and plaint text emails, check out our blog here! Another advantageous aspect of plain text email is that you do not need to worry about image-blocking. Up to 60% of customers have images disabled and most email clients block images by default. 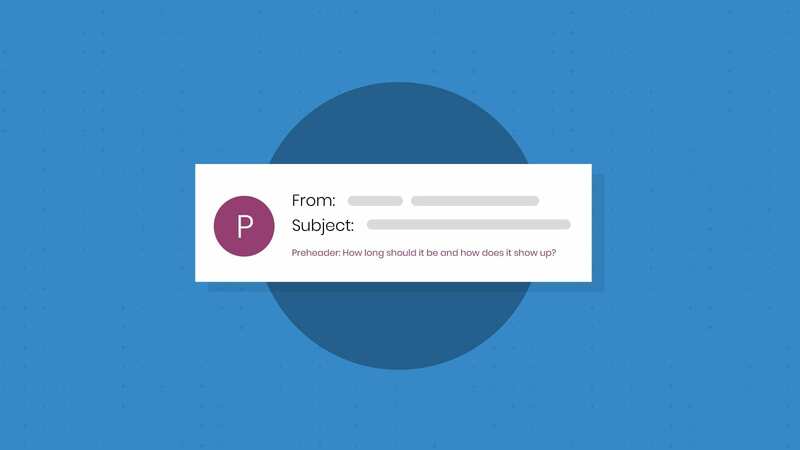 If you leverage a highly-designed email, your subscriber might be missing your primary call-to-action if they don’t opt to download your images. If you do not want to leverage a plain text email, you can circumvent image blocking by utilizing our feature called Mozify. Mozify will get your important message across before AND after your images are downloaded. Click here to find out more about Mozify! Like I’ve said hundreds of times and will probably say hundreds of times more, it would be wise to A/B test plain-text vs. highly designed emails as every audience is different. I personally believe there is a time and place for both design tactics since your messages and goals can vary greatly from one email campaign to another. Myth #6: You must keep a professional tone in your B2B and B2C emails. Tone is not what you are saying in your email, it is how you are saying it. Executing your tone successfully is what stands between good copy and great copy. If you match your tone to your audience, your copy can evoke an emotional response in your readers. This is important because emotion is one of the key factors when a reader considers whether to purchase something or not. If your tone is purely professional, it may come off dry and formal, failing to resonate with your audience. That is why you may want to consider adding your own company’s personality into your copy. We could have taken a more formal approach and said “Quickly ensure your emails don’t look bad in any email clients,” but that just doesn’t have the same ring to it. We decided that our tone would mirror how we talk by using “crap” in our headline. Heck, if it’s appropriate, you can even throw in minor swear words like ‘hell’ or ‘damn’ to make an impact. 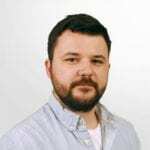 At Distilled’s SearchLove London conference, Amelia Showalter ran extensive series of A/B email tests and found that mild curse words returned good results. Keep in mind, though, everything in moderation. You want to grab someone’s attention and make your text feel more honest, but stay away from shock tactics like dropping an F-bomb and offending a good portion of your readers. When we were nailing down our tone, we tried to think of what our brand would be like if it was a person. We’ve taken a more informal approach when we speak to our audience because it resonates with the designers, developers and marketers. However, every company is different so we recommend that you examine your particular audience and their business needs. For example, if you are in the finance realm you probably wouldn’t be throwing out tons of slang or cracking jokes as that could appear unprofessional to your prospects. Find what works for you and for your audience! Myth # 7: Short emails are more effective than long ones. Don’t get me wrong, there is a time and a place for both short and long email copy. The trick is knowing when each method is appropriate. One of the key things to remember when writing your email is that you only need to write as much as you need to make a persuasive presentation, but not a single word more. Sometimes, it takes more copy to fully persuade your readers and answer all of their objections. Off the bat you could chalk up the long read rate to the length of the email, but this may not be the most accurate conclusion. Just because an email is long, doesn’t mean it will keep someone engaged. Reasons that could have kept our readers eyeballs on their screen was because it was offering relevant and informative information. If there isn’t sufficient content and information to grab your reader’s interest, they’ll move on to the next email. You can answer all of your visitor’s questions in one area. Long copy can reduce customer anxiety about making a purchase. Long copy can reduce customer service by answering all the questions in one place. If you format your copy correctly, some users can skim through your email while others can read it slowly if they feel more information is needed. If you are selling something that is worth a pretty penny, long copy is usually a necessity. If you decide that for your particular email long copy would be the most effective tactic, remember this: NEVER BE BORING. Myth #8: Unsubscribes will hurt your email efforts. Unsubscribes are going to happen. Period! While you do not want to see a spike in your unsubscribe rate, you can also avoid potential IP reputation disasters and gain insight into what marketing tactics are or aren’t working when someone unsubscribes. Email marketers around the globe felt the fear of unsubscribes hurting their marketing efforts when Google made it easier than ever for readers to unsubscribe. Google rolled out this feature in February and added the unsubscribe button in the top right-hand corner of the header field in promotional emails. Needless to say, marketers PANICKED. Once the rage died down, marketers saw that this change was actually a good thing for marketers! Before, when subscribers had to search for the teeny, tiny opt-out button at the bottom of the email, some users would get frustrated and just mark you as SPAM. Even if a customer had signed up for promotional emails at some point, this action can contribute to a brand being labeled a spammer and cause major deliverability problems. With the unsubscribe button being more prominent than ever, this is actually helping maintain a good sender reputation. Think about it, you would much rather lose subscribers than end up on an ISP blacklist, right? You can also gain more customer insight by looking at your unsubscribe trends. If you see your unsubscribe rate spike for certain emails, that is a good indicator that you deployed marketing tactics that were less than desirable to your audience. Finally, unsubscribes aren’t always a bad thing because you do not want someone on your list that doesn’t want to hear from you. Make sure your unsubscribe button is loud and proud in your email because having inactive users on your list will hurt your email metrics. The more engaged subscribers you have on your list (read: people that ACTUALLY are interested in your service), the better engagement, opens, and CTR you will have! I hope I’ve shown you that not all email marketing maxims hold water. Before you dive in head first and use a marketing tactic you found circulating the web, make sure there’s research to back it up. Marketing is part intuition and part science, so make sure your gut isn’t the only thing directing what email tactics you will be using or avoiding next. Be a data warrior and fearless go where testing indicates that you should! Did we miss anything? Share other email marketing myths you’ve found and we’ll debunk it together! Good article with some interesting insights. I have to admit that I strongly believed in myths #1, #2 and #4! Thanks for backing this up with links to the actual studies, too. Couldn’t agree more with #3! Recently changed a university’s email templates to be responsive and we seen over a 30% in opens and a great click through rate of 5-25%!! Compared to our previous numbers… less than 1% click through and 9% opens! Plain text but short email with creative words are very effective for customers or clients to read it quickly. For “Myth #2: If you send too many emails, you’ll bug your audience” – There’s a strong possibility that the data that backs up this point is somewhat flawed. Was the unsubscribe rate tracked on a “per month” basis, or on a “per email” basis? 1 email per month at a 0.07% unsubscribe rate per email is 7 unsubscribes per month. 4 emails per month at a 0.04% unsubscribe rate per email is 16 unsubscribes per month. So, if the unsubscribe data was “per email” (which it almost undoubtedly was), then the conclusion presented about “Myth #2” is at best a bit misleading. It certainly could at least use some clarification. This might not be a big concern to some senders (e.g. e-commerce sites looking to score some quick revenue from clicks), but I think most senders that are trying to build a relationship would see this as a move in the wrong direction.